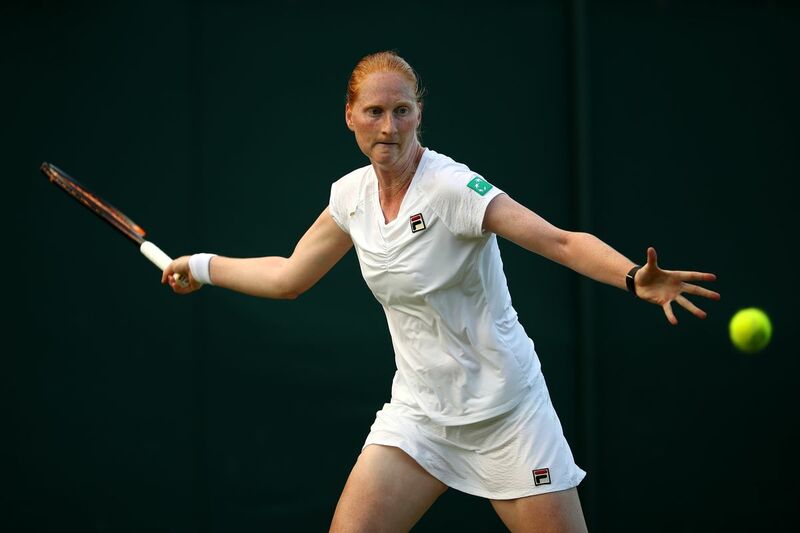 In an interesting upset of Wimbledon 2018, world no 47 Alison Van Uytvanck sends defending champion Garbiñe Muguruza out of the tournament. The Belgian Uytvanck won the match 5-7, 6-2, and 6-1. Uytvanck was dominating the match from the start with her hard hitting servers and rallies. Muguruza on the other hand was under pressure throughout the game. In the first set of the match, Uytvanck broke Muguruza’s serve but the defending champion made a strong come back and won three games back to back. She eventually won the set 7-5. However, Uytvanck was well composed and played well in the following two sets. She won the second and third sets easily without much competition from the defending champion. It is the first time Uytvanck has cleared 2nd round in Wimbledon. The last time she made it to the 2nd round was in 2014.